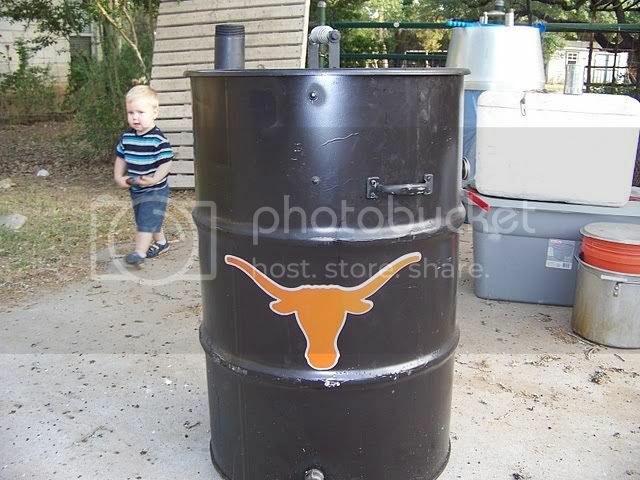 My First Two UDS Builds w/ Pics - The BBQ BRETHREN FORUMS. 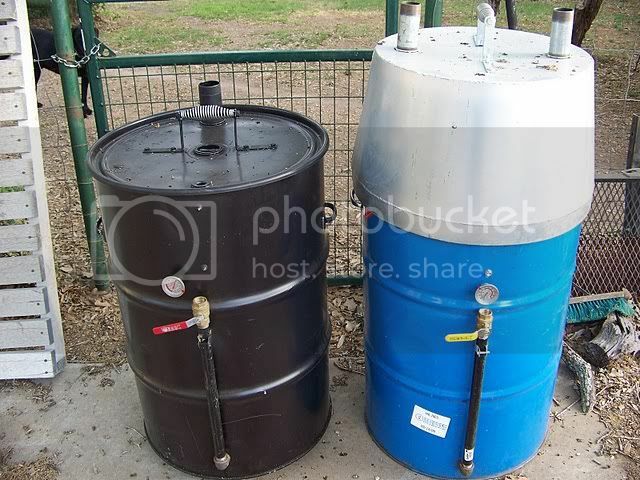 After spending several weeks reading EVERY post in the mother of all UDS threads, I built a couple myself. I didn't re-invent the wheel, rather I followed those before me and built them rather simple (Thanks to everyone in that thread!!!). I bought two drums, one open top with a liner and one unlined closed top. I didn't have a Weber for a lid for the closed top drum, but I do have a friend with metal working tools and skills that I talked into fabricating a lid for me! While I'm not big into the competition scene, some friends and I do a couple of local events each year. The first event was last weekend at the 24th Annual Founder's Day Festival in Dripping Springs, Texas. This year had 130 teams competing. We fininshed 4th in Chicken and made the final table (top 20) with our Brisket, Fajitas, and second Chicken entry. 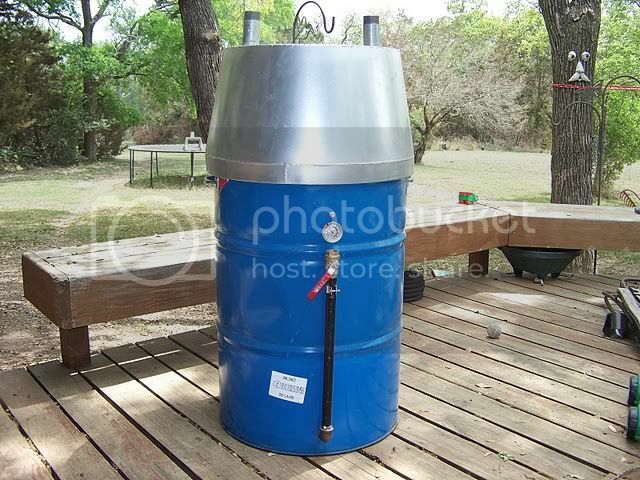 There is also a Best Pit competition and I entered my new UDS almost as a joke as there are some really nice, expensive offset pits out there. Well, the judges were impressed enough to award me 3rd Place !!! 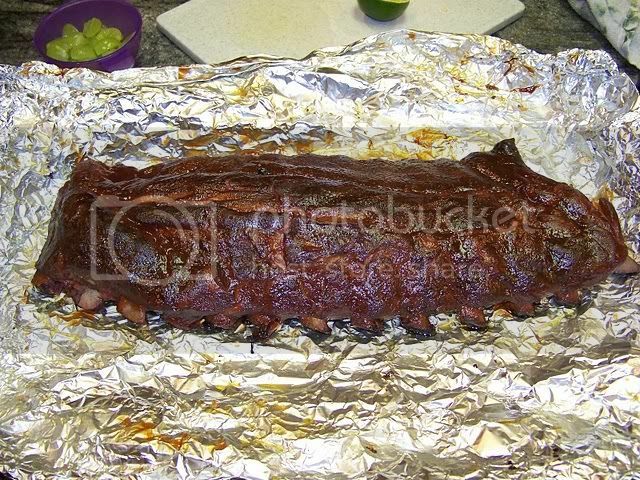 Congrats on the wins, wow 3rd in pit they must be longhorn fans those ribs look good too and that dripping springs vodka is really good anyone that likes good vodka needs to try it. Congrats ain't it great? Nice job on the drums I will never understand why people don't just make and cook on a simple drum. They work great. Why spend $$ for no reason. 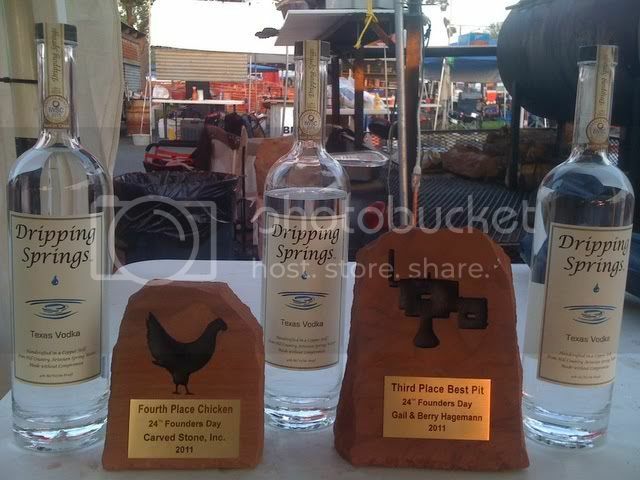 that dripping springs vodka is really good anyone that likes good vodka needs to try it. It is good stuff, isn't it. I met the owner several months back at my liquor store and invited him out to the cook-off. Imagine my delight when he showed up Friday afternoon with a case of vodka! It's amazing we got anything turned in after starting Saturday morning with Bloody Marys and Screwdrivers! All of my neighboring cookers sure were nice to me the rest of the weekend!!! If you can fins a cheap welding supply you can get chipping hammers pretty cheap. 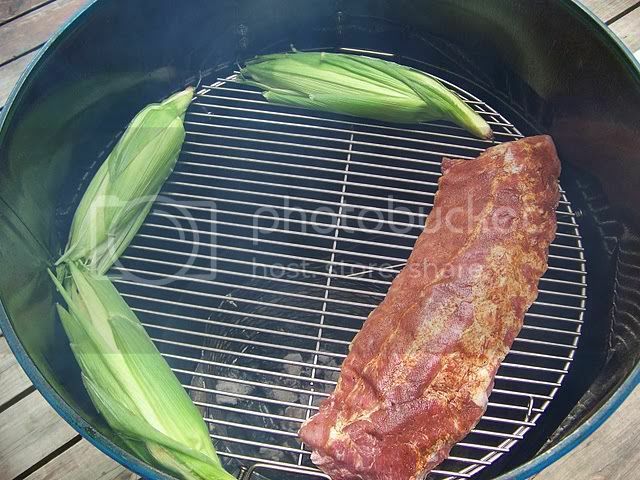 Then cut off the spring handles to use on your BBQ. Thats what Im gonna do. Nice looking drums. You guys amaze me. Mine are 6" Stainless Steel and cost $11.99 with free shipping. You can get 5" regular steel for $7.99 w/ free shipping. I need to be friends with your friends! Nice drums. Good to see that some folks (judges) still value things that are beautiful in there simplicity and functionality. And congrats on the awards!